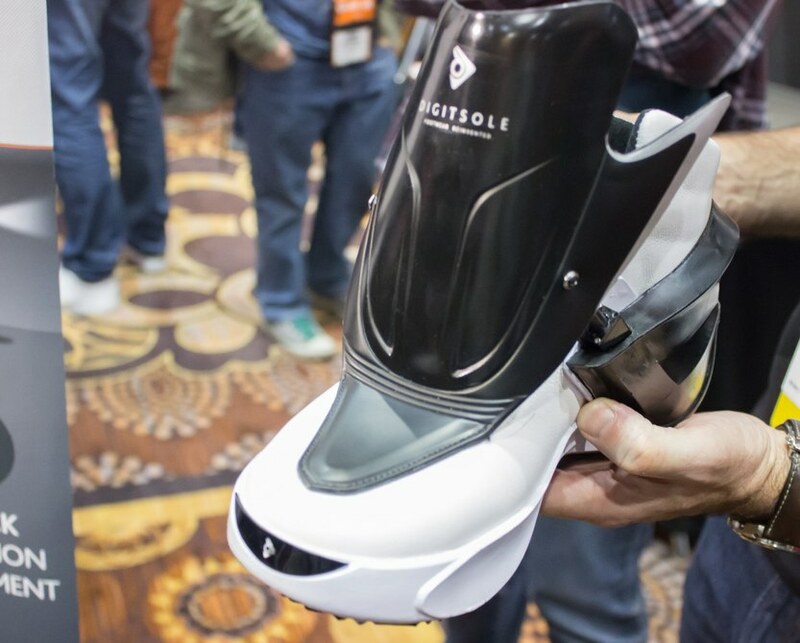 If you thought that there are enough smart things that’s been made, Digitsole didn’t think so. They’ve made 3 different pairs of smartshoes with one of them as the “flagship” smartshoe. Let’s start with the first two smartshoes. The two smartshoes are tagged under Digitsole’s warm series. One looks like sneakers for men and the other one is a pump for women. Even if their looks are different, the innards are all the same. The smartshoes can keep your feet toasty during the cold seasons by controlling the temperature of the smartshoe via their app. Just like fitness watches, Digitsole also placed a step counter and calorie tracker. We can safely assume that the step counter will be more accurate now since it’s right in your shoe. They last around 6 hours of use and can be charged using a double microUSB cable that comes with it. The flagship smartshoe has all of those features and even adds more. Digitsole has added light at the front of the shoe, supposedly for using it at night when there’s no light available. I’m not very sure how well that works though. It is also said to be able to measure the shock absorption of the shoe. 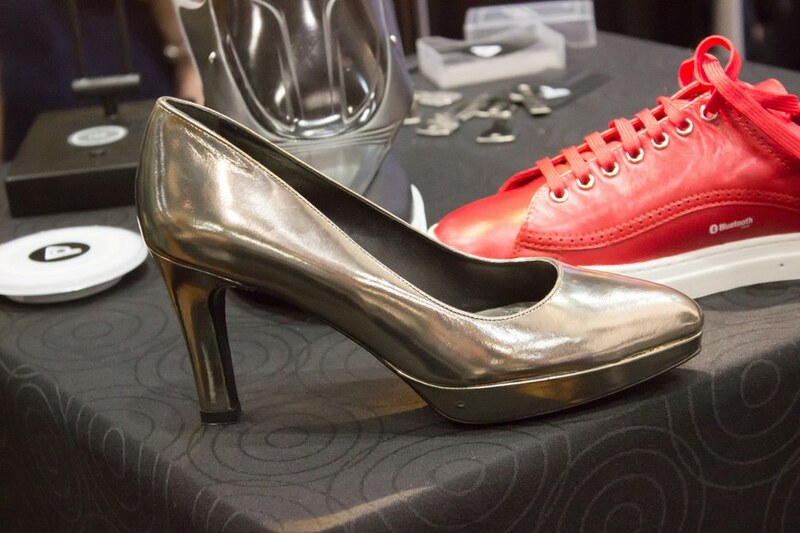 The most gimmicky feature Digitsole has added to their smartshoe is the closing mechanism of the shoe. It has a mechanical looking flap that closes on top and around your foot. This can also be controlled through its app in a smartphone paired to the shoe. The battery life of this pair lasts up to a several days though, compared to the 6 hours from the Warm Series. Instead of using a microUSB cord to charge, it has been hooked up with wireless charging and comes with 2 charging pads upon purchase. Now you can say that you own a pair of wireless charging smartshoes. If you saw the word “Smartshoe” and said, “I must have it!” Well the Marty McFly shoes are available for $450 which will be coming out during the Fall. The Warm Series smartshoes don’t have a price yet but will be available before Winter. It’s safe to assume that they’ll be cheaper than $450 though.